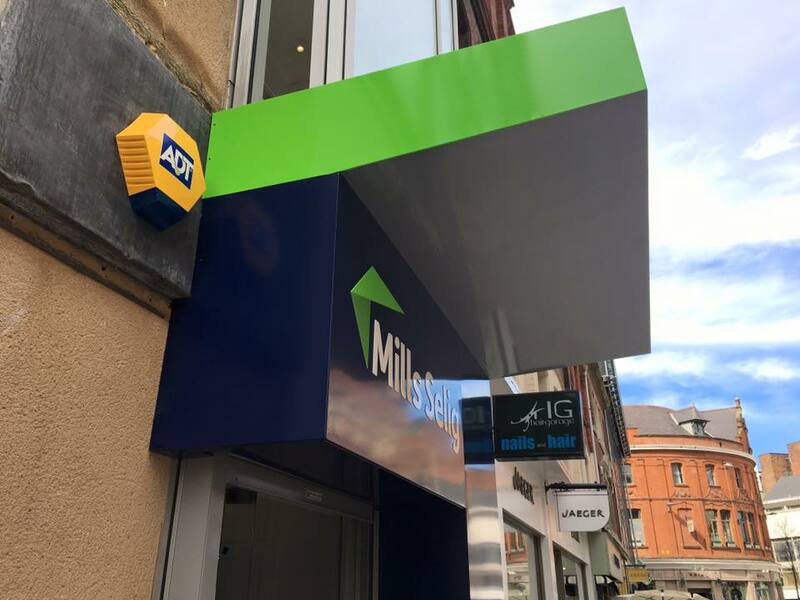 This weekend saw the 4 Corners Team install a new lightbox sign, canopy & column wrap for Mills Selig. 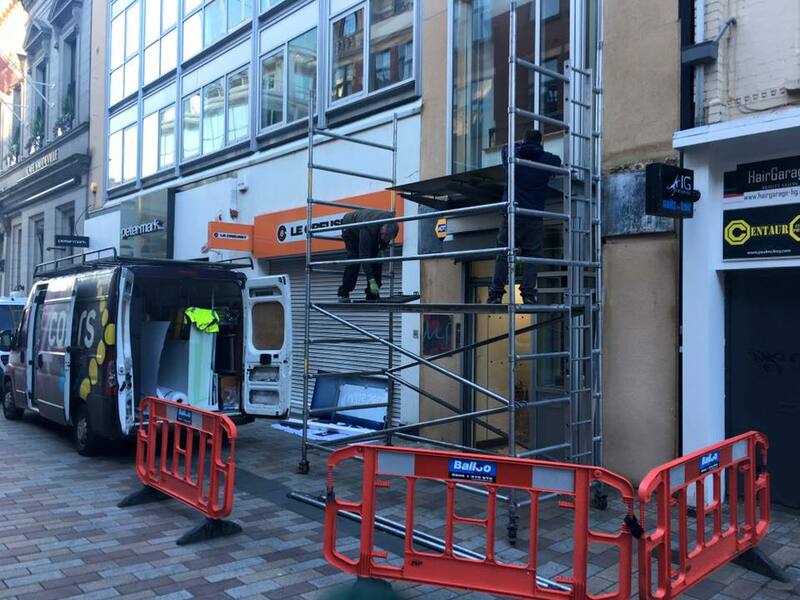 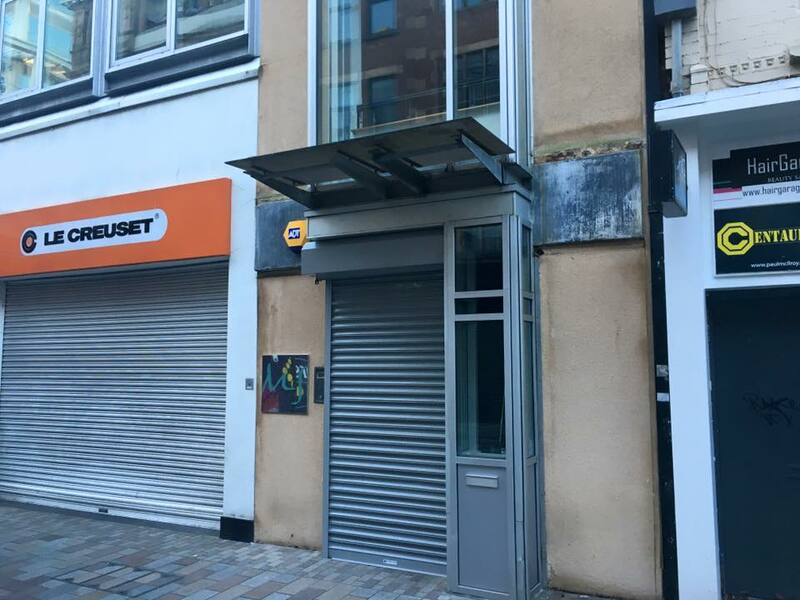 This job wasn't straight forward, in order to ensure everything would fit on site we had to make a full size prototype before installation began. 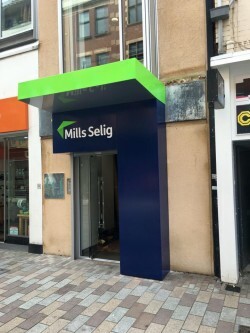 4 Corners managed the manufacture and installation for the sign on behalf of Mills Selig. 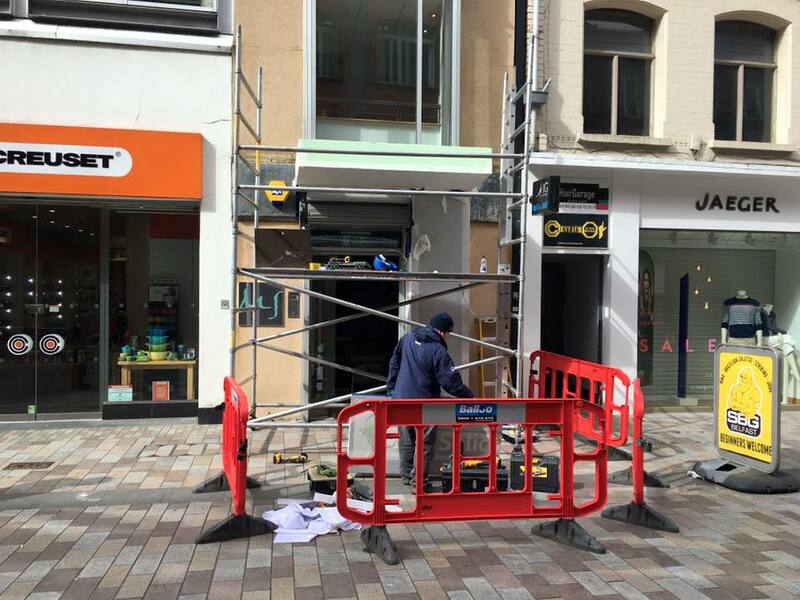 For more details on our lightboxe please click http://www.4corners.org.uk/products/lightboxes-illuminated-signs or contact us on 028 9262 2905 or email Colin on colin@4corners.org.uk. 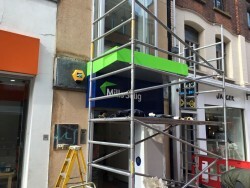 Images for before, during and after installation.